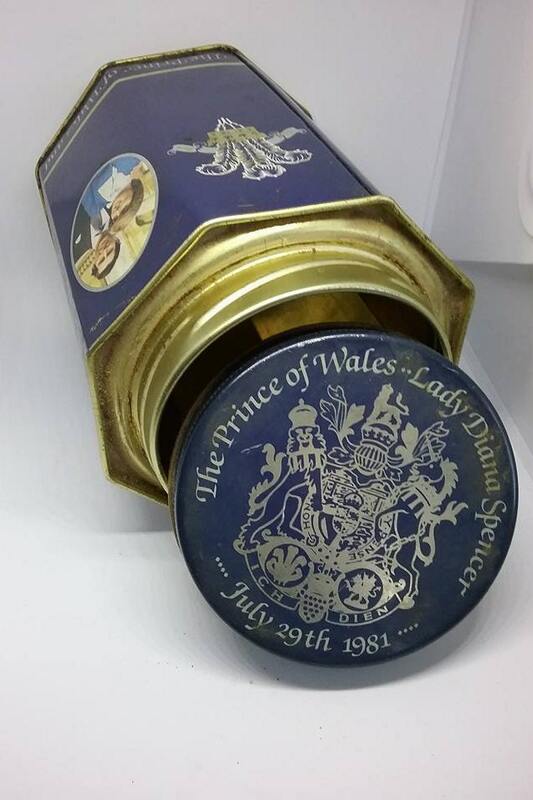 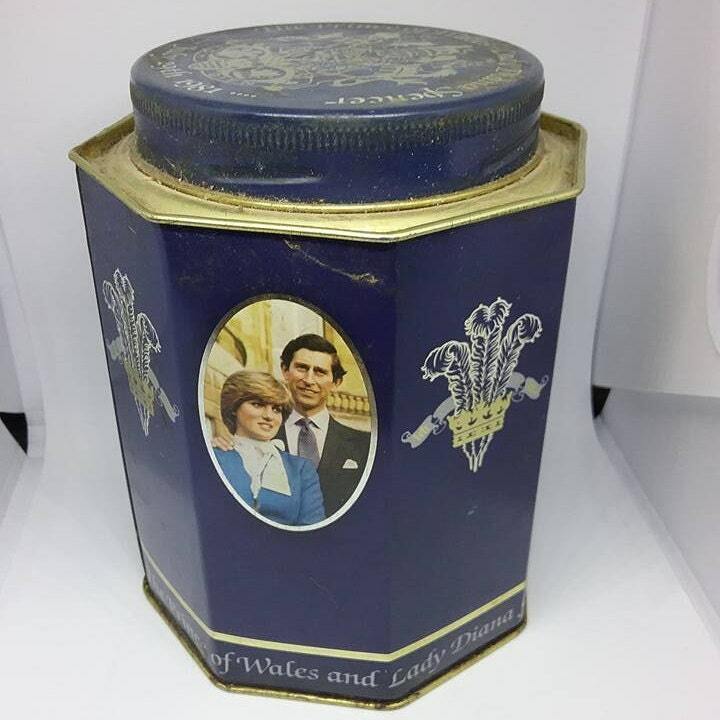 Charles and Diana Collectible Royal Wedding rare tin, blue octagonal tin in honor of their wedding, July 29th 1981. 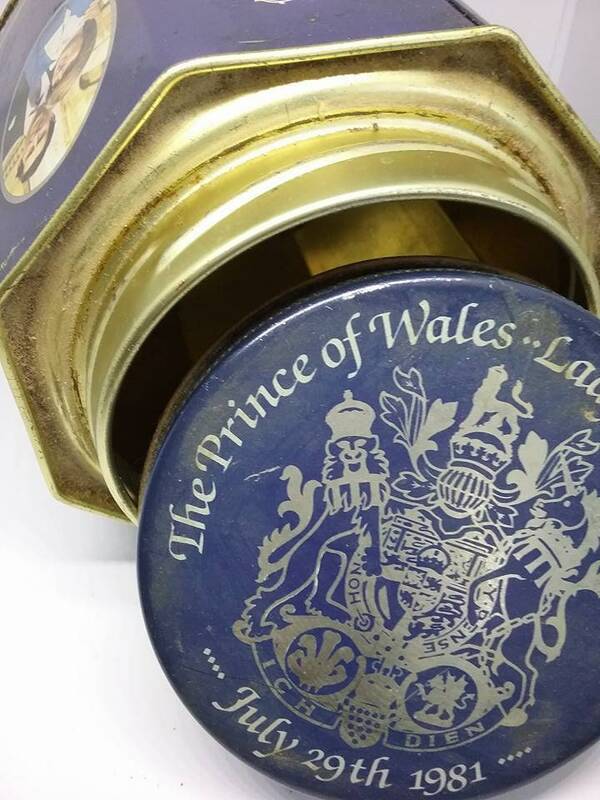 Container made in England. 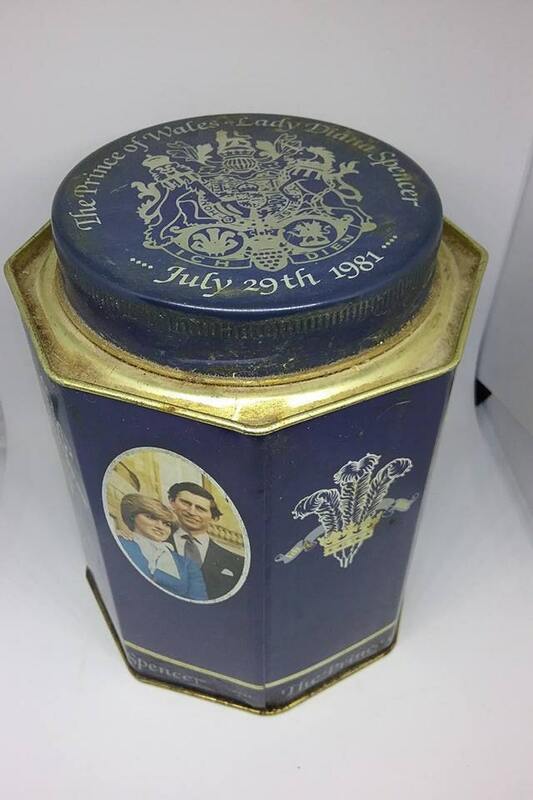 It is in good vintage condition. 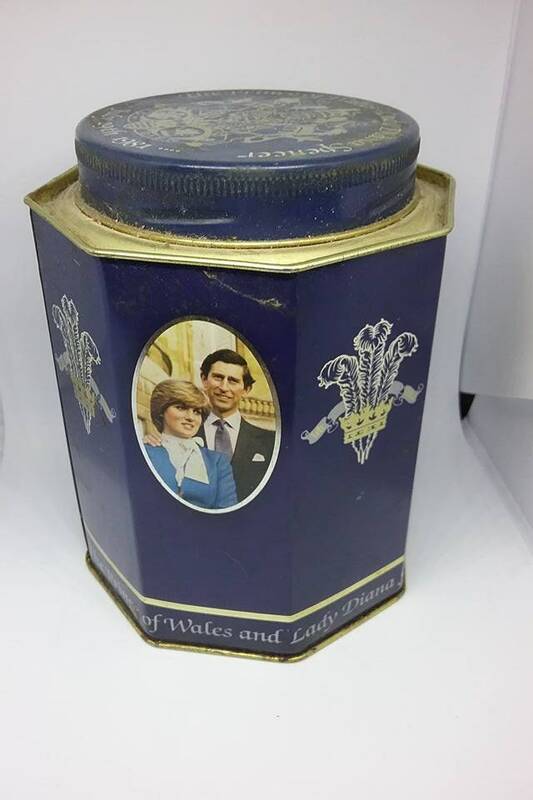 A great find for the Collector or Royal vintage finds. 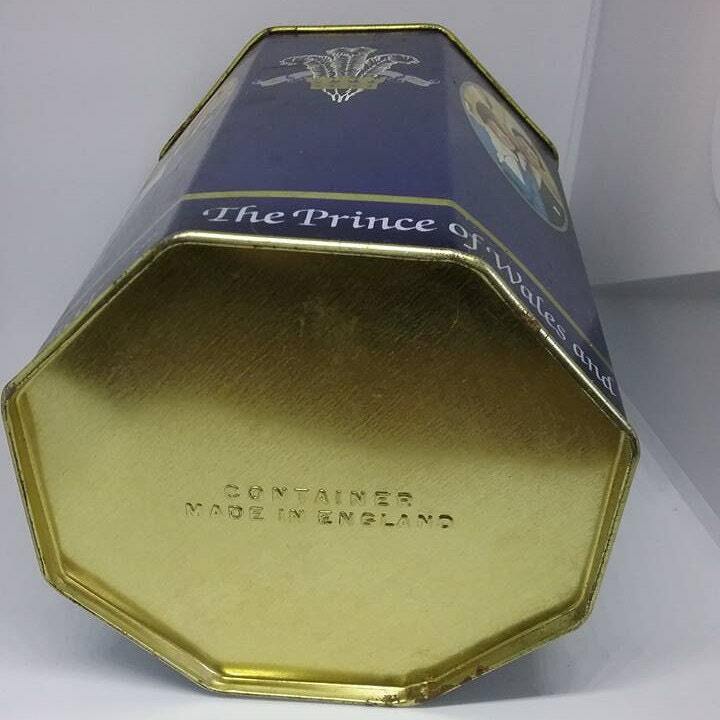 6" high x 4.5, mouth of tin 3.5"